Ascension makes 3D tracking devices for medical guidance, minimally invasive surgery, real-time visualization, and target acquisition. Our position and orientation tracking devices navigate, localize, and guide medical instruments for image-guided procedures. They also capture human motions for interaction with 3D graphical worlds and biomedical analysis. From our pioneering Flock of Birds to our newest 3D Guidance trackers, Ascension’s innovative technologies can solve your 3D tracking needs. 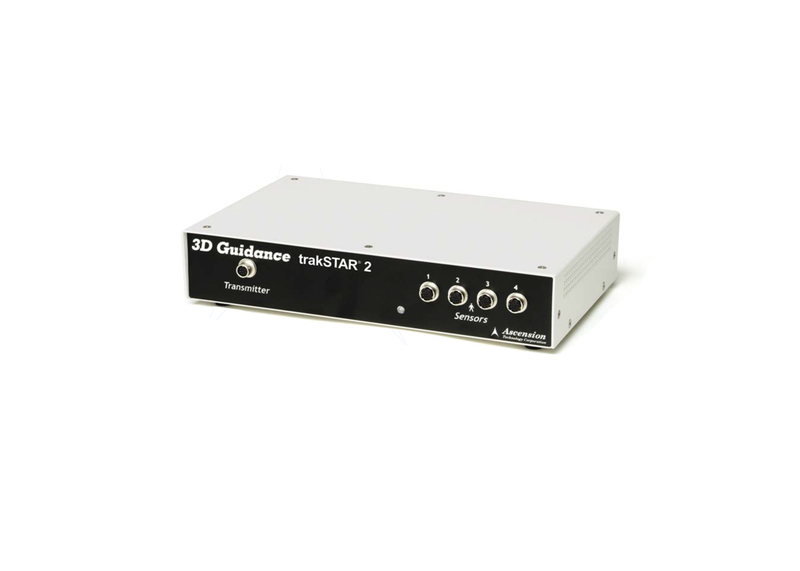 Fast, 3D tracking — 240–420 updates per second. 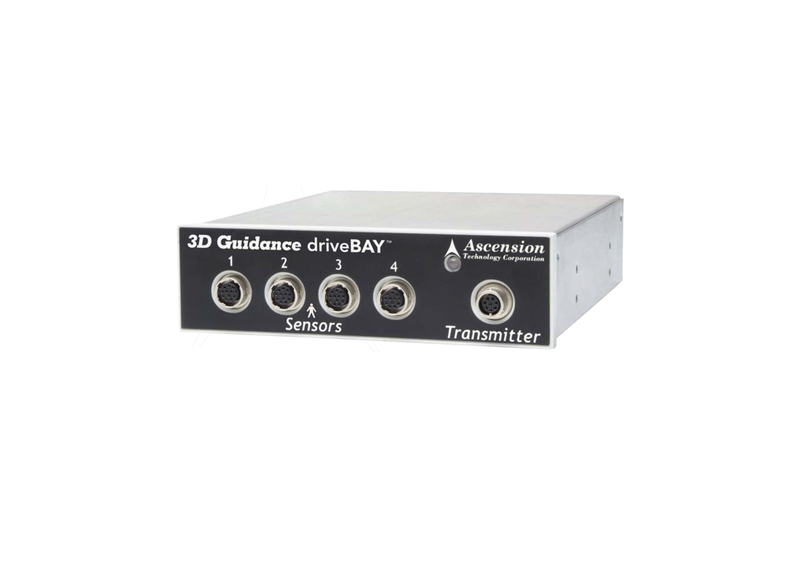 Small, lightweight 6DOF sensors for unobtrusive tracking and instrument tip guidance. Multiple magnetic field transmitters (generators) for extended tracking ranges. Immunity from most conductive metal distorters of accuracy. All attitude: no inertial drift or optical occlusions. Expandable: track from 1 to16 6DOF sensors simultaneously. 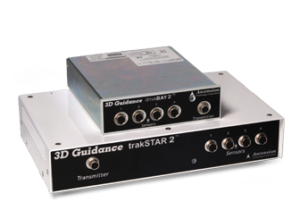 Ascension 3D Guidance trakSTAR The trakSTAR is the latest addition to the Ascension 3D Guidance family of ultra-fast trackers of small magnetic sensors. Users can select update rates as high as 420 times a second for each of four miniaturised sensors. For unobtrusiveness and ease of use, sensors range in size from 8 mm to just 1.5 mm in diameter. Fast, dynamic tracking – 240 to 420 updates per second. Miniaturised passive sensors – outputs unaffected by “power-line” noise sources. 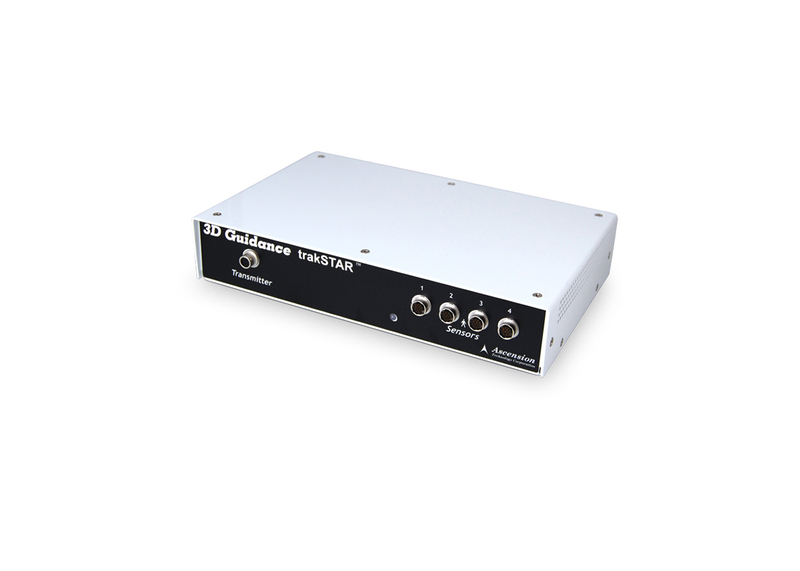 All attitude tracking – no inertial drift or optical interference. High metal immunity – no distortion from non magnetic metals.